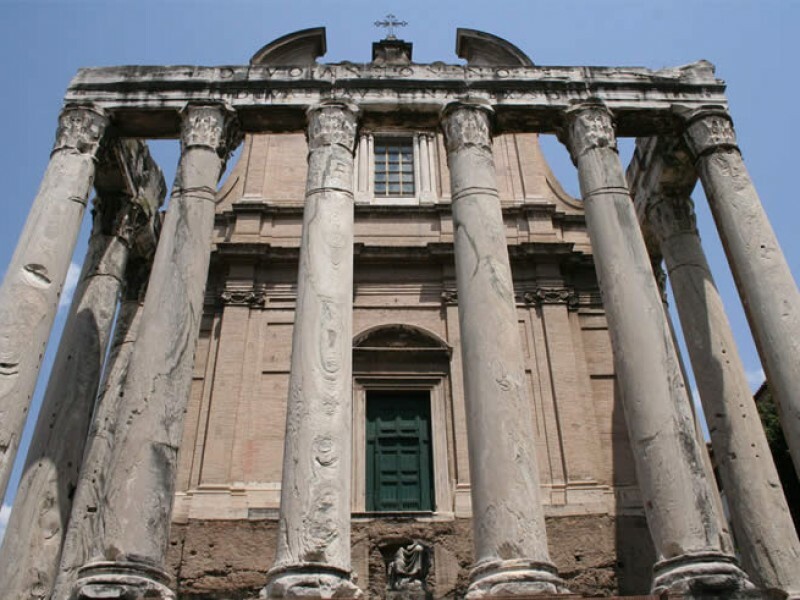 Learn how the history of Rome was shaped by the great men - emperors, popes and artists - who lived and worked here. 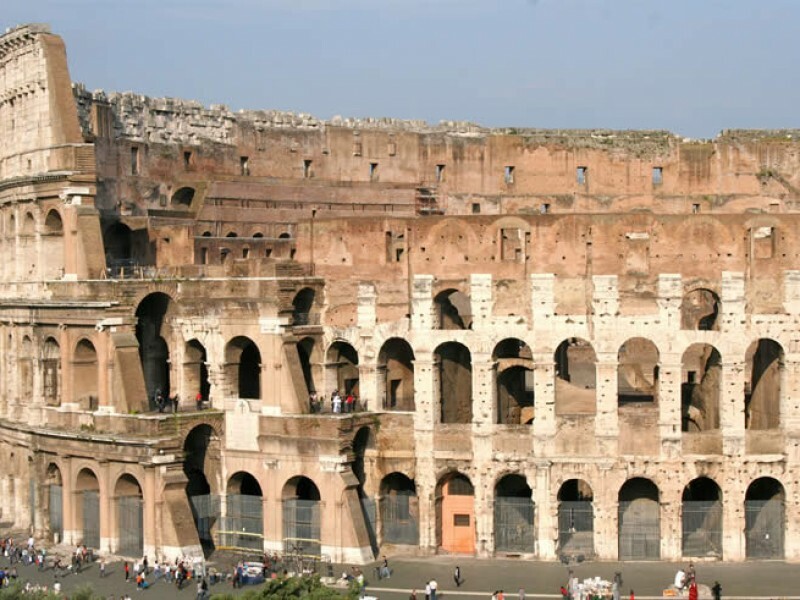 We begin with a visit to the Colosseum, hearing stories of the violent gladiatorial games and the lives of the slaves and gladiators, before moving on to the nearby Roman Forum, which is filled with the magnificent remnants of temples and basilicas. 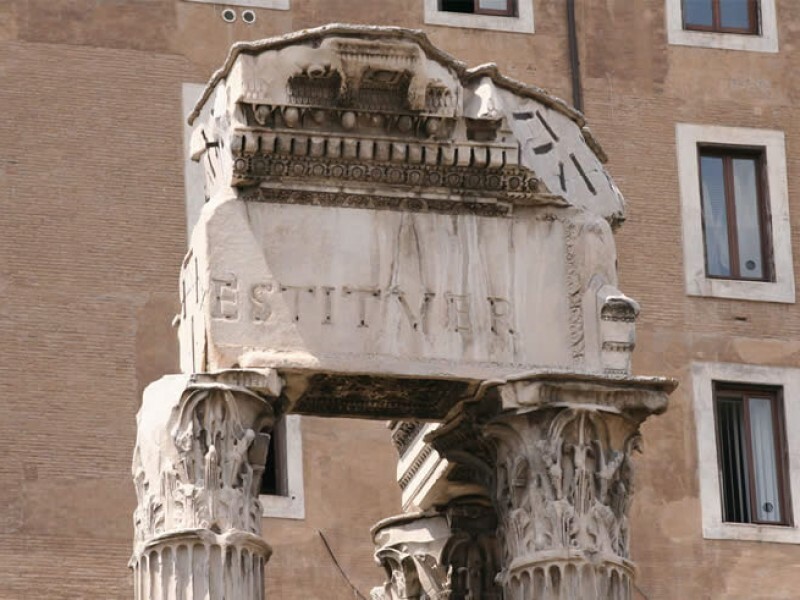 In the company of your private guide, you’ll learn all about Julius Caesar and the other great emperors of Rome, and discover how they transformed the city. This private tour of Rome features a walk through the historic centre of Rome, admiring the Baroque beauty of the Trevi Fountain and Piazza Navona, climbing the Spanish Steps, and discovering the secrets of the back streets. All tickets are booked in advance so you can skip the lines, optimizing your time in Rome. The city of Rome has experienced many highs and lows since its founding 2,700 years ago, and on this tour we will relive some of the most exciting periods in its history. Join us as we explore the ancient heritage of the Eternal City's classical past in the Forum and Colosseum, and then delve into Rome's golden age in the enchanting streets and piazzas of the Renaissance and Baroque city. Along the way we will learn about the men and women who have shaped Rome, from powerful popes and emperors to ordinary citizens caught in extraordinary times. 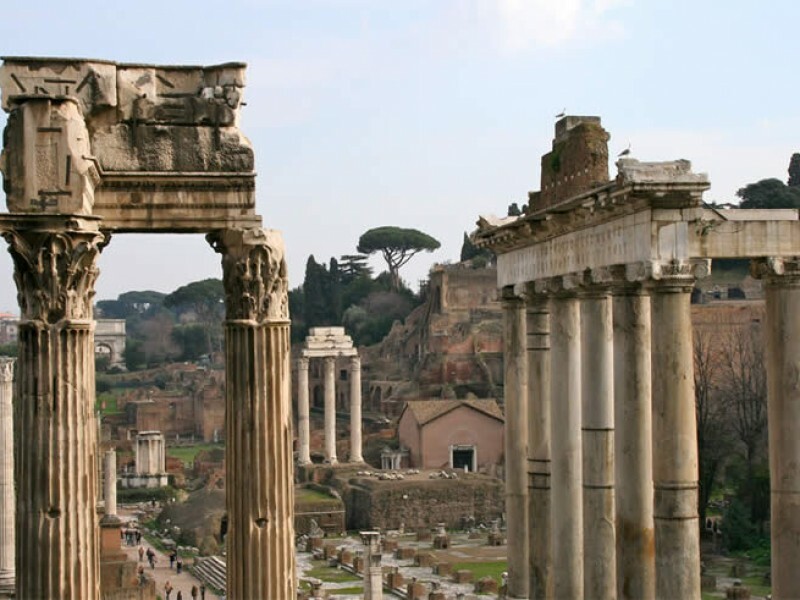 In the Roman forum we will travel back in time to the 15th of March 44 BC, known to history as the Ides of March. It is a crucial day in Roman history, the day on which Julius Caesar, idolized by the people almost as a god on earth, is assassinated. The knife-wielders are a group of Roman senators, convinced that Caesar has betrayed the ideals of the Roman Republic in the name of personal ambition. His violent death marked a turning point, the originary myth on which an empire was built. Retracing the last day of Julius Caesar through the streets of Rome, we will immerse you in the culture and daily life of the ancient world's greatest metropolis. Together we will recreate the oratory of Cicero and uncover the lives of the emperors, which seem to live on still in these evocative spaces. The spectacles of death in the Colosseum that so often transfixed the Roman populace are difficult to understand for the modern visitor, simultaneously fascinating and horrifying. One of the cruelest and most enigmatic aspects of Roman culture, we will endeavor to understand the place that this brutal entertainment had in ancient society. Learn about the lives of the gladiators, men who were compelled to live out a precarious existence on the sands of the arena, from their energy-sapping training to bloody deaths before the baying of a crowd delirious with blood-lust. Finally, we will examine the awe-inspiring architecture of this iconic structure, and revive the ingenious engineering that made these violent spectacles possible. Fast-forwarding over 1,000 years, we find ourselves thrust into the height of a golden age of art and architecture, where timeless monuments await around every corner. 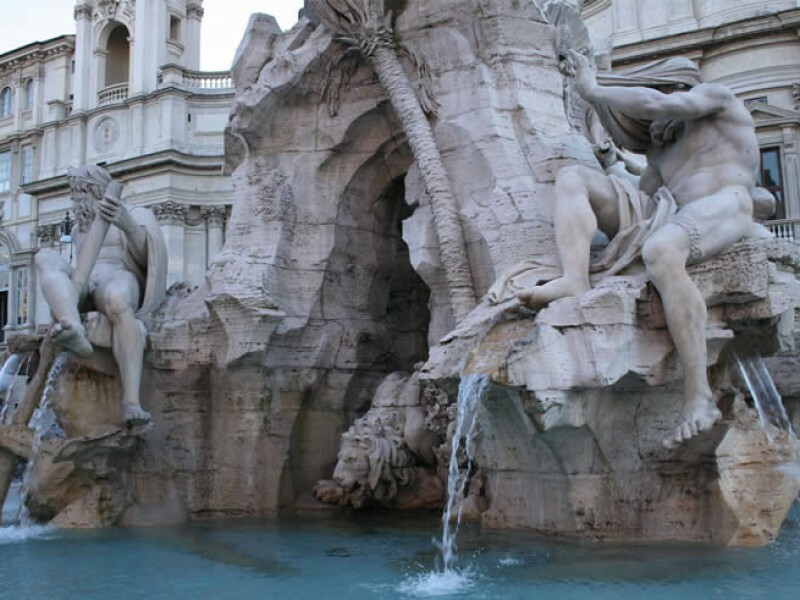 The remarkable power of water is writ large at the Trevi fountain, a stunningly exuberant celebration of its life-giving properties through the power of Baroque architecture, and symbol of the city the world over. Water also plays a vital role in the theatrics of Piazza Navona, where Gianlorenzo Bernini's Four Rivers Fountain dominates a space that still bears the traces of its ancient origins as a racetrack. We will also wander through the warren of narrow streets that lead off the piazza, frozen snapshots of a different age that have hardly changed over the centuries. 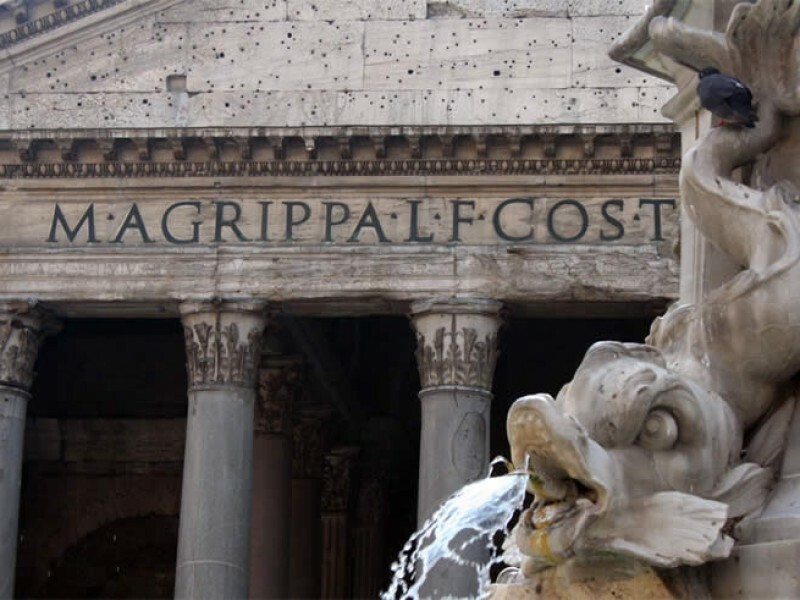 Rome's past, present and future are all interleaved into the urban fabric of the city, and the memory of Rome's ancient monuments have provided inspiration for future generations to make their mark on the metropolis. Michelangelo's inspired restoration of the piazza atop the Capitoline hill regenerated one Rome's most venerable spaces and injected it with the harmonious proportions of the Renaissance, while the Pantheon's dominating presence in the centre of the city remains a testament to the inspiring potential of architecture to transform a culture. Join us as we visit these sites and many more and uncover a living history where the old and the new, tradition and innovation exist in a unique harmony. You will meet your guide at at a designated point. Details, a map, and photos provided upon booking. Our group of 19 family members (ages 11-70) had a great morning touring several piazzas, the roman forum and the colloseum. Thomas provided us with tons of information on the areas we walked through. He was very relatable, incredibly knowledgable and funny. I highly recommend this tour to anyone that wants to have a very pleasant and informative walk around Rome!